This is not an issue of Da’wah or simple morality or culture but a matter of upholding the law. The argument that blasphemer of Prophet (PBUH) should simply be talked to and made to understand the seriousness of his/her action is an option in a society like Makkah or Taif before the victory of Makkah. The Muslims then had no power to implement Islamic laws. But in a state that is claimed to have been created on the pattern of the state of Medina — though nothing like Medina is there to be beheld, save naming TV programmes as ‘Madani phool’ or ‘Madani darwaza’ — only the law that made the state of Medina an exemplary state, can bring some order. And if in a state created with that claim, there exists any law, then it should be applied in its total spirit. And in the process of application of such a law, had Asia’s crime been proved, then she would have been executed by now. However, when her guilt has not been proven, how can she be held guilty? As for her confession, how many innocent Muslim youths detained under TADA and several other ignoble laws in our own country have been made to confess the crimes they never committed? Were almost all of them, after their cases reached the Supreme Court, not acquitted? On such occasions we do not stop shouting with joy stressing that there is no justice in the lower courts and it is delivered only at higher level. Is it not the same in our neighbouring country? Let’s not forget that it’s only a line that divides the Indian sub-continent. As far as practices of injustice, discrimination and corruption are concerned the whole region has been deeply infested with these social evils. If there is some corruption in law courts in India, same is true about Bangladesh and Pakistan too. I firmly believe that a blasphemer should not go unpunished but for this practice the guilt of the accused must be established first and foremost. Those who are hell-bent upon destroying law and order in their country are the same lot who were once at the helm of affairs themselves. Was it not their duty then to negotiate Afia Siddiqui’s release with their masters? One is amazed at the behaviour of the politicians who, while taking their oath, swear that they believe in the supremacy of the Constitution but those very politicians, when it doesn’t suit them, conveniently show utter disregard to it. Does this Constitution not tell that Supreme Court’s will be the last and final verdict? Had Supreme Court given a verdict that had satisfied their own desires, would the same lot not been felicitating the judges? Recently European Court of Human Rights excluded blasphemy against the Holy Prophet (PBUH) outside the right to freedom of expression. All of the Muslims welcomed the decision and interpreted it as the victory of justice and fairness. 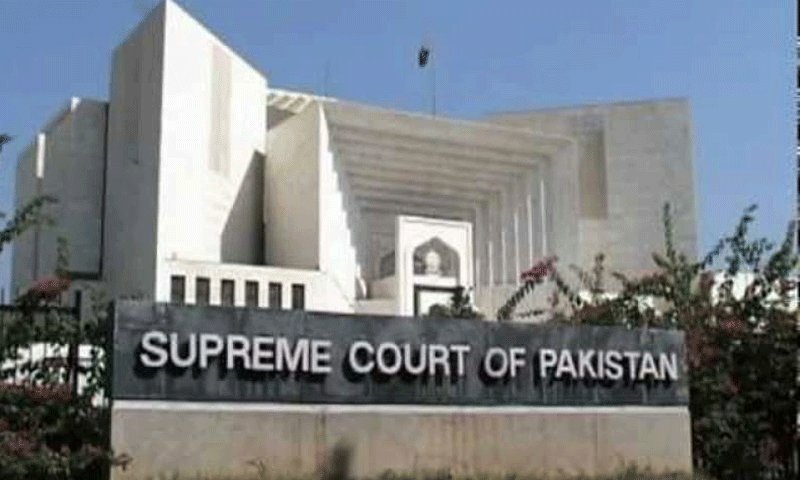 But some of these Muslims do not want to trust the judges of Pakistan who are Muslims and who have been forced to question the society if they will have to provide the proof of their faith. Asia’s case is not merely a Pakistani case. This concerns Muslims all over the world. Sadly the message that religious elites in the neighbouring country have given to the world is that Muslims do not recognise any court of law and any legal system except the one that delivers judgements that are acceptable to them. During the controversy raging around Mumtaz Qadri, Shaikhul-Islam Mufti Taqi Usman had, at least, saved the dignity of whole of the ummah by responding to a question and saying: ‘His intention might have been right but his action was against the law.’ This means he believes in the supremacy of the law and if that is the case then under the same law Asia has been acquitted. Therefore, like a civilised society the judgement should be accepted or a review petition should be filed against it. Mufti Yasir Nadeem Al Wajidi is a Chicago based Imam. He is a postgraduate of Darul Uloom Deoband and holds Ph.D. from International Islamic University Malaysia. Translated by Mohammad Alamullah for Urdu Media Monitor from Mufti Yasir Nadeem Al Wajidi’s Facebook wall.